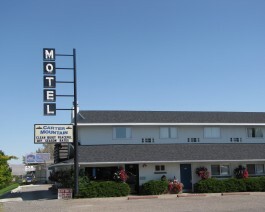 The Carter Mountain motel offers non-smoking, clean, comfortable rooms with wireless internet. All rooms include microwave, fridge and coffee maker. The motel is quiet, near a shopping center, banks and a swimming/exercise complex. They specialize in large family suites with kitchens. Just nine blocks away from the Buffalo Bill Center of the West. Open year-round. No Pets.